Pete Corey Page 77 of 84 for Pete Corey | Pete Corey is an independent consultant, writer, and web developer based out of Denver, Colorado. He writes weekly articles on software development and his eternal quest to build Cool Stuff™. Written by Pete Corey on Dec 24, 2014. My new bspwm setup currently doesn’t have a pretty GTK theme installed, so the menu in Sublime Text looks fairly unattractive. With my workflow, whenever I open Sublime Text (subl . ), the menu is always shown, regardless of if I hid it during my last session. So what’s the solution to hiding the menu at startup? Find a plugin, of course! Oh, there are no plugins that do this? Write a plugin, of course! Unfortunately, the plugin has its issues. As mentioned here, with some workflows, Sublime Text will remember the state of the menu’s visibility and the toggle_menu command issued by my plugin will show the menu instead of hiding it. As far as I know, there is no way to either detect if the menu is visible before issuing the toggle, or sending some kind of “set visibility” command rather than a toggle. I’ve opened an issue about this on the project’s github. If you have a solution or any feedback about it, please leave a pull request/comment. Written by Pete Corey on Dec 22, 2014. This morning I started working on a quick project called Suffixer, which is a tool to help you find interesting domain names. For this project I needed a searchable english dictionary accessible from within a Meteor app. After some sleuthing, I decided that adambom’s dictionary JSON would be my best bet. The next step was importing that JSON data into Meteor in the most “Meteor way”. You’ll notice that Meteor will immediately pick up this change and build your package into the project. For local packages, this is all you need to get started. However, I wanted to keep this package in its own github repo and eventually publish it to Meteor’s package repository. With that in mind, I pulled it out of my packages folder within my project and into its own directory. My package defines a collection called Dictionary that I intended to be used on the client side by projects importing this package. However, without explicitly exporting Dictionary, it will remain hidden within the package’s scope. You can now add your package to any Meteor project using the standard meteor add command. That’s it! Written by Pete Corey on Dec 18, 2014. The other day I was looking through my old GitHub repositories, and I found JuliaSass. This was my fisrt time experimenting with Sass and Haml. I had been using Less at the time, but I learned about Sass’ support of @functions and I was inspired. 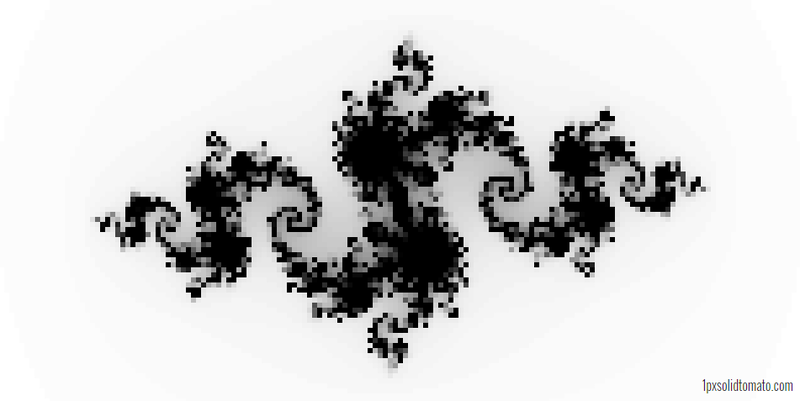 I decided to build a Sass script that would generate a Julia Set fractal. Haml would be used to generate a huge number of divs, and Sass would be used to calculate and set each div’s color based on the fractal’s coloring algorithm. The resulting CSS file was over 50000 lines long and took over 1 minute to generate on my machine. Needless to say, this is a horrible idea, but I thought it was a cool expiriment.